These are professional bowling pins that can be placed in a line or all together just like real bowling and the object is to knock all 4 pins down with no more than 3 throws. 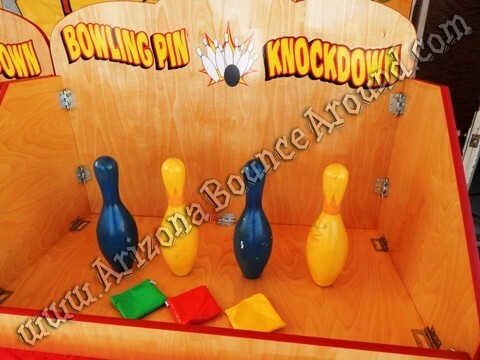 The bowling pin carnival game comes complete with 4 colored bowling pins, 4 foot wide wooden case and 3 bean bags. This game can be played on the ground but its much better on a table. 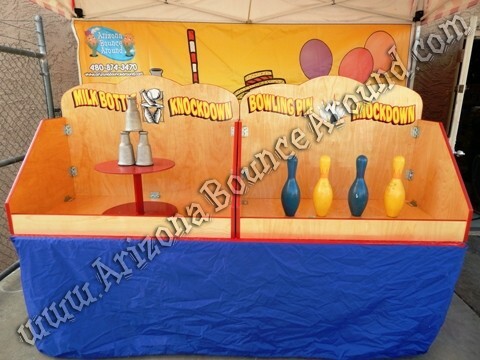 Our bowling pin carnival game is shown on an 8 foot table with carnival cover that are not included in the rental price but can be added to your carnival game rental for $19.95. 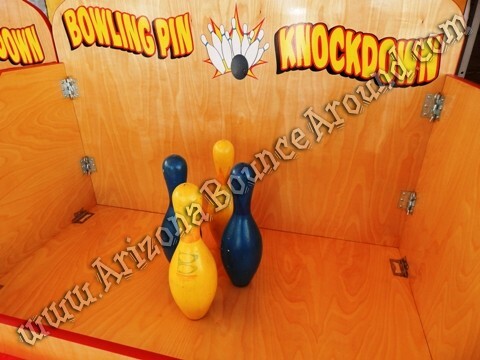 You can arrange the bowling pins any way you like but the object is to knock all 4 pins down with only 3 throws. 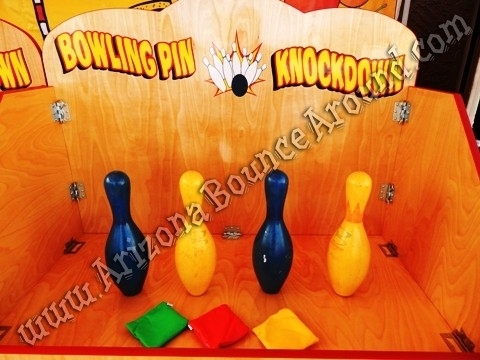 The photo above shows our bowling pin knockdown next to our milk bottle knockdown game on a 8 foot table with table cover.